Naturellia is an organic fair of its kind that revolves around various sectors like environment, health and eco home. This event will highlight to the attendees the significance of incorporating more and more natural products in their daily living. This event will allow the attendees to explore the latest and recent trends in the sector of organic and natural products. 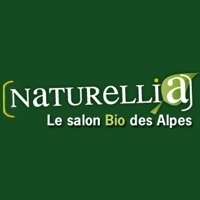 Naturellia will therefore bring to the fore the latest developments in the sector of organic products. This event will have something to offer to both young and old from food and wine tasting to learning about this sector through several workshops and interactive sessions.